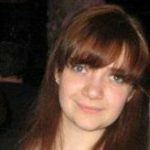 A common question amongst staff and customers is…What is an epergne? 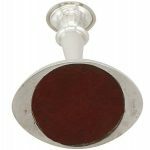 AC Silver now includes an eclectic range of silver epergnes. These curious and elegant centrepieces have caused a stir within our walls: to begin with many of us have struggled with the pronunciation of the word “epergne” (EH’-PERN). Many would class them as a simply a centrepiece, however, these beauties have a special tale all of their own. 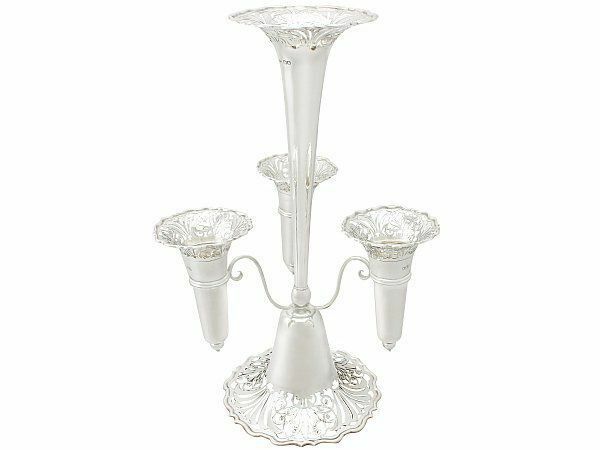 The epergne was introduced on the early seventeenth century although the concept did not reach England until the 1720’s. Epergnes became a way for the English to incorporate a bit of French 16th century elegance to their table. The most popular style was a centre bowl or dish raised on a column, with branches / arms extending outwards, each holding a bowl/ dish. 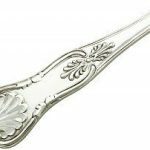 There were several variations developed to hold items such as: cruets for vinegar and oil and the “fruitier” (yes you’ve guessed it) to hold fruit and sweetmeats. The epergne was displayed at the centre of the dinner table or the sideboard. The dishes/bowls were often decorated with sweets or flowers. Occasionally the centre columns were fitted with candle holders or a vase. The name was most likely derived from the French word epergne meaning “saving” or “economy”, as the concept saved diners the trouble of passing dishes down the table and economized on space. 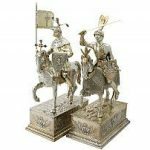 During the Victorian period glassmakers were producing exquisite hand-made creations. At the time they were less expensive than their silver counterparts. In typical Victorian style, epergnes were designed to represent flowers, the more colourful the better. This organic connection later lead to the heavy influence of the Art Nouveau style. 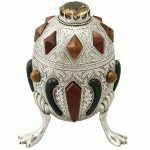 These mysterious and exclusive items are beautifully designed and crafted. 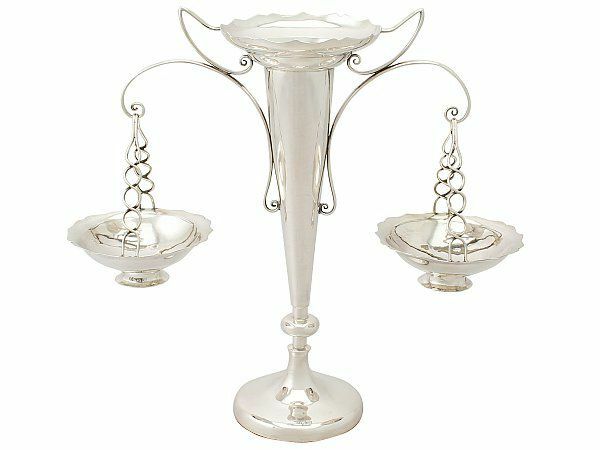 We believe all our items are usable, and the epergne is no exception. Let’s set the scene… the annual dinner party is approaching and you want to impress your guests. 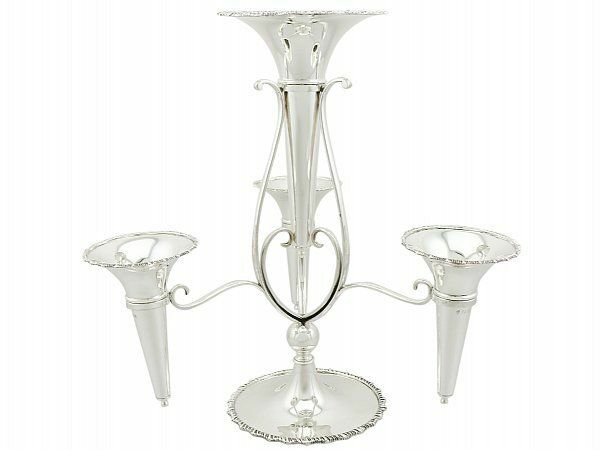 Why not consider investing in an epergne to serve your canapés and nibbles? It cannot fail to create a stir. 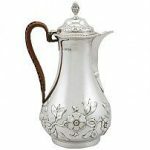 At AC Silver we have a collection of Victorian, Edwardian, George V and Chinese Export Silver epergnes, all with their own individual style and size. If you require any further information please don’t hesitate to contact us online or in store. Next Entry: What is the Perfect Christening Gift?